Even those with low credit scores still need to qualify for a mortgage or take out student loans. In fact, a recent survey showed that 30.7 percent of Americans with credit scores of 680 and under would still probably apply for credit in the next 12 months. If you're part of that group, read on for tips on how to qualify for the best bad credit loans. It is possible to qualify for loans even with bad credit. Here are a few things to look out for before borrowing. A low credit score will probably prevent you from snagging an optimal interest rate, but it's important not to accept a loan with sky-high numbers. Short-term "payday" loans are becoming more popular for borrowers who need a small amount of cash to cover their expenses. The average amount borrowed is $350, but interest rates can rise up to 400 percent. Interest rates vary depending on the type of loan and current trends, so be sure to do some research on the average rates for your type of loan before borrowing. In general, you want to pay the largest amount you can afford over the shortest period of time. This can be tricky with a low credit score, so be prepared to shop around until you find the right loan. Just remember, small monthly payments stretched out over a long period of time will add up, especially if you have a high-interest rate. Federal regulations vary depending on the type of loan you're looking for, but there are rules in place to protect you. Check with the FDIC to see what rights you have as a consumer before you sign off on a loan. If you're having trouble landing a loan that works for you, there are other options to explore. Tap your equity. If you're a homeowner, you can establish a Home Equity Line of Credit, or HELOC. This allows you to borrow a set amount against the value of your home. Choose this option carefully, however; if you default on your payments, your home could be in jeopardy. Consider a credit union. Credit unions act like banks in many ways, but they are actually member-owned nonprofit institutions. They may be willing to lend to a borrower with bad credit, especially if you're a member. Go peer to peer. Peer-to-peer lending takes the bank out of the equation. Instead, you make your case directly to private lenders via an online platform. Just be wary of any loan that sounds too good to be true. Find a co-signer. 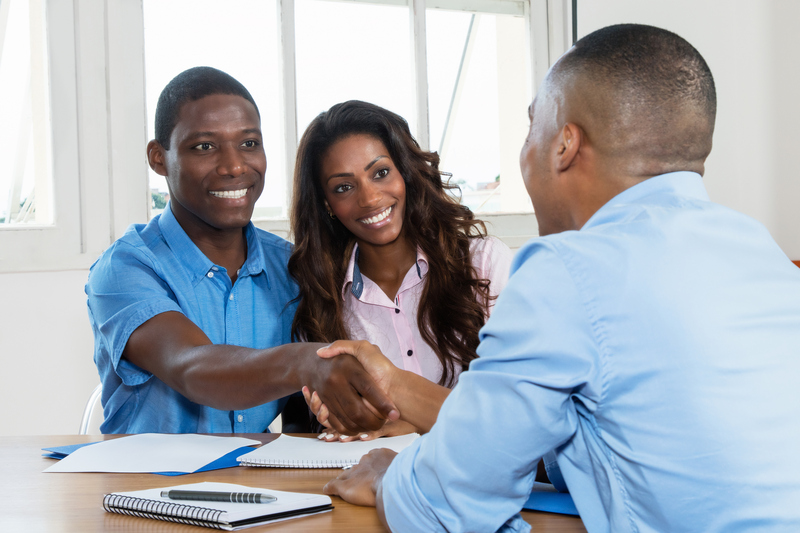 If you have a close friend or family member with great credit, consider asking them to co-sign a loan. Just remember, if you miss payments, your co-signer will be on the hook for the debt. Ready to find the best bad credit loans? Visit MoneyBrag and start shopping.